Instructions: Click here to see addition photos of this project. Roof: Gesso entire birdhouse. 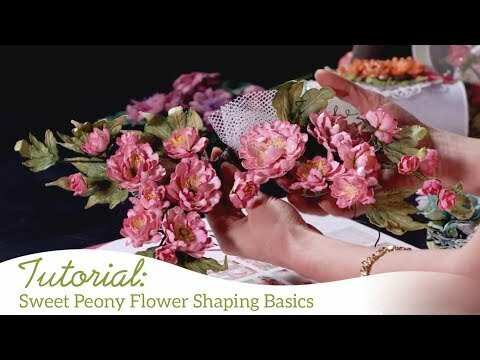 Stamp, color, die cut and shape 2 six layer peony flowers. Stamp, color, die cut and shape 6 peony leaves. Stamp, color and die cut the rose vines. Stamp, color and die cut 24 wildwood cottage flowers. Die cut four essential borders with collection paper. Die cut two square decorative pieces with collection paper. 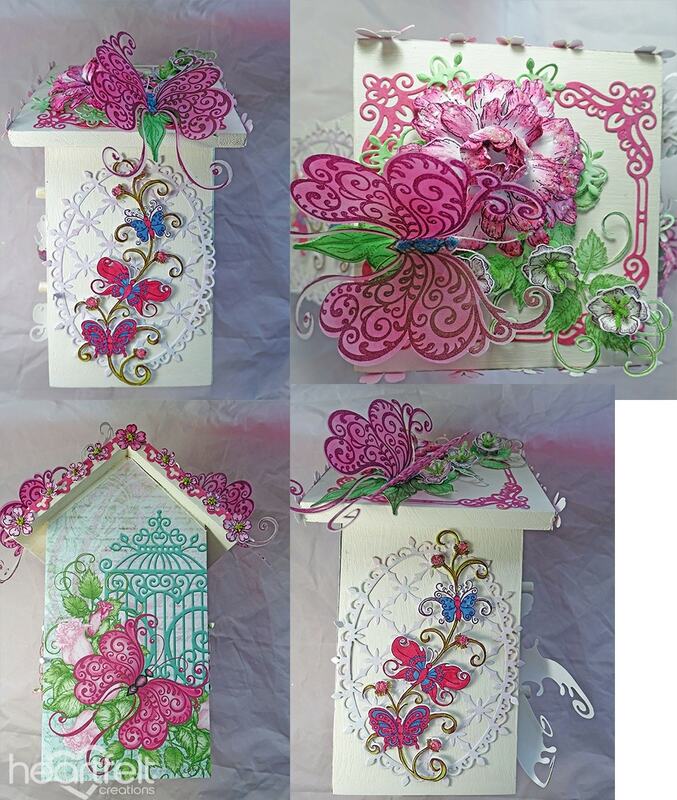 Stamp, color and die cut 2 vellum lacy butterflies. Color and die cut 2 Arianna Lacy flowers. Make six double wildwood flowers with the rock candy stamens in the middle. Add prills to the center of 18 wildwood flowers. Arrange and glue everything in place per photos! Side One: Stamp, color and die cut two birds. Stamp, color, and die cut one large butterfly. Stamp, color, and die cut three small butterflies. Die cut two circle borders at 1 and 1.5 inches. Stamp saying on side of bird house. Add Flower soft to the center of the large butterfly. Side Two and Three: Die cut two decorative ovals from paper collection. Stamp, color and die cut two butterfly borders. Add prills to the small flowers on the butterfly borders. Side Four: Cover with paper from the collection and take a craft knife to cut to fit perfectly on the birdhouse base.